New Landmarks interim Chair – Srinivasan 2.0? There has been much uproar over proposed changes at the Landmarks Preservation Commission in recent months. Here is a timeline of what happened and why New Yorkers should be objecting to the recent announcement that Fred Bland will be replacing Meenakshi Srinivasan as interim Chair. In January 2018, the Landmarks Preservation Commission (LPC) noted on its website that it was planning broad changes to its internal operating rules. Many of these changes took authority away from the appointed Commissioners and gave those powers to a professional staff that has been cowed in recent years by an autocratic Chair, leading to massive turnover – at least 20 staff members resigned under her rule. At the start of the March 27, 2018 hearing on the proposed rule changes the LPC announced it had received a letter from Manhattan Borough President Gale Brewer requesting that the LPC extend the comment period on the rule changes to May 8th. The LPC complied. During that hearing, Human-Scale NYC testified and asked that rule reforms be addressed via a more democratic process, with the City’s professional preservation organizations granted the opportunity to present their own suggestions for reform. We again called for the Chair to be replaced with someone more qualified, with a demonstrated appreciation for the historic fabric of our city. On April 13, 2018, the City’s professional preservation organizations sent a joint letter to the LPC asking that the entire rule-change package be withdrawn by the LPC. On April 19, 2018, Srinivasan announced she was resigning from the LPC and would stay on until June. On the same day, Lynn Ellsworth, co-founder of Human-Scale NYC, was quoted in The New York Times, stating that Ms. Srinivasan has been hostile to historic preservation and overly biased toward the desires of the real estate industry for too long. Worried about who might be appointed to replace Ms. Srinivasan, Ms. Ellsworth said it’s a great opportunity to right a wrong. On the following day, the Battery Park Broadsheet Daily ran Ms. Ellsworth’s op-ed calling for a new Chair who will protect NYC’s architectural legacy and serve without conflicts of interest with the architectural and real estate communities. On May 30, 2018, the Commission held a public meeting, announcing it had retreated from many but not all of the proposed rule changes. 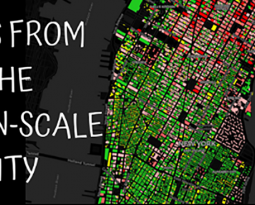 Human-Scale NYC is still reviewing those changes. In the meantime, it was announced that current LPC Commissioner Fred Bland, a partner in the huge architectural firm of Beyer, Blinder and Belle – and widely regarded as Srinivasan 2.0 in terms of his voting and commentary at hearings – has been appointed by Mayor de Blasio as interim vice chair, even though his firm does a tremendous volume of business before the LPC and will continue to do so. That makes the traditional procedure of handling conflicts of interest via momentary recusal impossible. New York needs a Chair without such conflicts. And just as disturbing for New Yorkers who value our historic districts (both designated and undesignated), Mr. Bland has referred to historic districts as imposing a tyranny of the context on architects, whose goal he sees as getting around that historic context. That is shocking. 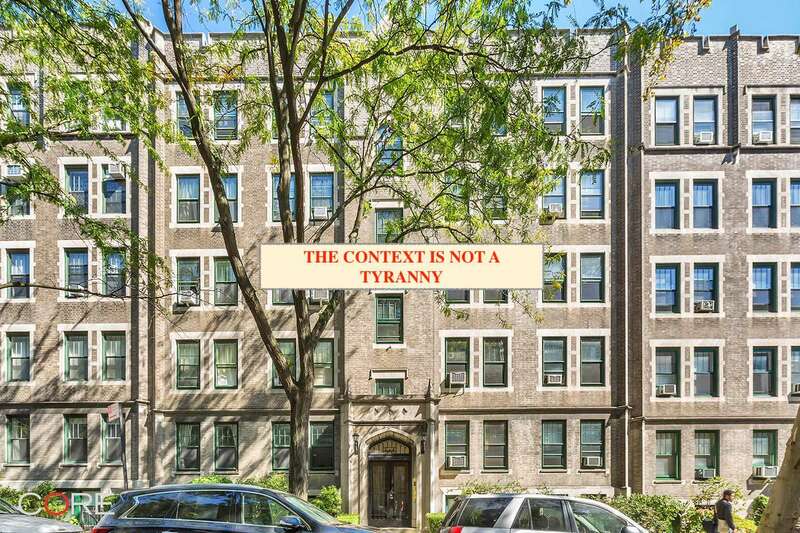 New Yorkers do not need a Landmarks Chair who regards our historic assets as tyrannies instead of public assets that need protection and celebration. We ask our City Council to stand up and find an alternative to the appointment of Mr. Bland. Not doing so would be a continuation of the policy of having the LPC stand down on preservation and dismantle itself from within. Thank you to our readers for everything you have done. Stay tuned for more action on these issues. We will continue to need your help! Swiss Voters at a Public Assembly – a tradition hundreds of years old. Income inequality has not changed much in Switzerland since 2000, and the Swiss government engages in substantial redistribution of income from the top to the bottom. Democracies are safer and more permanent than oligarchies, because they have a middle class which is more numerous and has a greater share in the government..
New York City’s Campaign Finance Law of 1988, once a brilliant innovation and a bit ahead of its time, is showing its age. The overall problem is this: it does not structure the rules of the game to put New York’s middle class solidly into the driver’s seat of the candidate’s fundraising. The current law suffers from big-as-truck loopholes that open the door for Big Real Estate (or any set of committed and wealthy property owners) to easily dominate the donor pool and possibly use campaign contributions to buy re-zonings that are not in the public interest or part of a well-considered plan. The spending limits for publicly financed campaigns are far too generous and cause a waste of public resources. The individual donation limits are so high so that they guarantee that the wealthy 10% of households will dominate the speed-dials of prospective candidates. When that happens, the wealthy have the most access to the politicians, not the rest of us. The signature thresholds to get on the ballot are excessive, forcing newcomers to be overly dependent on the democratic â€œmachineâ€ (meaning political clubs) to get themselves on the ballot. The thresholds for access to the public system are too high and need lowering. Put the required public debates on public broadcast channels (which may be in the works already), use public money to do it, but make these broadcast debates open only to candidates who are using the public finance system to run their campaigns. Candidates who are oligarchs in their own right and who are using their private wealth to run a campaign are free to set up their own debate system, but they cannot freeload on the publicly financed debates. Besides, you want to reward candidates for using the public system. So it is clearly time to fix the law. Luckily, doing so is easy, once we have a framework for doing so. Some things are really good about the current law, namely the creation of a Campaign Finance Board to keep track of all that amazing donor data, which is then made public. But other elements of the law are still weak, like the system of public matching contributions. Now, only six public dollars are given to a candidate for every one dollar raised privately, and that is only up to $175 dollar private contributions. To be sure, New York’s matching system was a step in the right direction. But now I time to go further. There are of course many ways to create full public financing. For example, Seattle has been Beta testing the idea of Democracy Vouchers. There, the city sends each voter four $25 coupons. Voters then give their vouchers to the candidates of their choosing. This forces candidates really have to go out and hustle among the voters to get the coupons, which is a better use of their time than sitting behind a desk telephoning real estate developers and begging for large contributions. Seattle candidates get to play this game as long they don’t take PAC money, and they get to cash in their vouchers with the city for real money. But if we aren’t going to a Seattle system (which should at least be on the agenda), then the alternative is to dramatically reduce the maximum contribution that an individual can now make. Right now the figure is too high at $4,950. So how low should we go? How does one come up with a number that isn’t just pulling a umber out of thin air? We propose a decision rule: the maximum contribution should be within reach of New York’s middle class. Even Aristotle knew that democracies only thrive when they are controlled and dominated by a middle class. Who in the middle class of New York City can actually afford to make the current maximum contribution of $4,500? If the median household income in NYC is about $56,500, are we really going to set up a system that asks the average New Yorker to give nearly 10% of their income to a single candidate? That would be very greedy of the politicians, because they would be asking for all of the charitable budget that the middle class has, and giving money to political campaigns is not really the best use that money. What about asking them for 10% of that 10%, meaning $560? That leaves the middle class family with about $5000 for their regular charitable activities, and $560 for the politicians. Of course, if we do that, it gets harder for the politicians to raise enough money for their campaigns, so we would naturally have to substantially increase the public match from six to fifteen, or even more. The upside is that these kinds of tweaks to the law would get a lot of the big money (and especially big real estate) off the backs of our city politicians. Second, substantially lower the maximum spending that candidates can indulge in with public money. The spectacle of waste is embarrassing. Candidates can learn to run leaner campaigns that donâ€™t rely on television ads. And why would a candidate for Mayor need more than $3.5 million anyway to run a campaign? Cheaper campaigns would mean fewer consultants and lobbyists who live off the public dime. Third, lower the signature thresholds to get onto the ballot. The current thresholds are too high and make candidates dependent on political clubs, not a savory dependence at all.